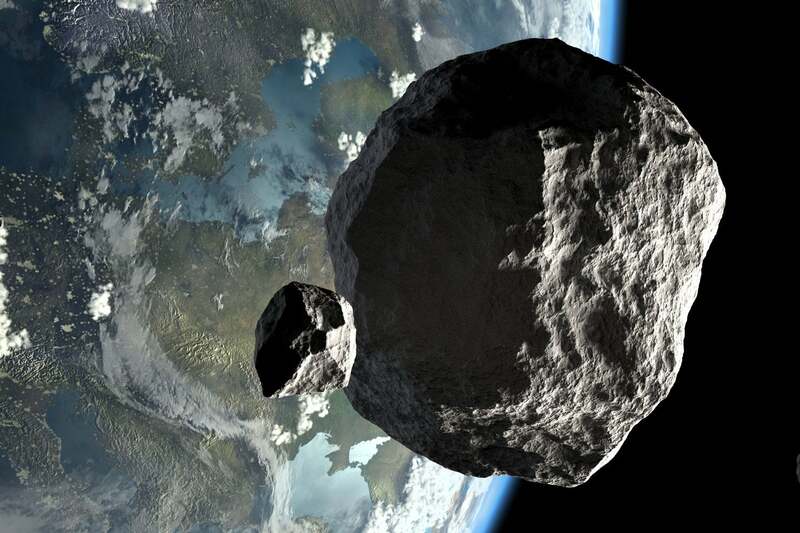 Three huge asteroids are due to fly close to the Earth this weekend, NASA has warned. The asteroids measure between 13 and 28 metres across and will make a fly-by from around 2pm tomorrow, the space agency has said. NASA's Jet Propulsion Laboratory showed the three near earth objects are due over the next few days, with one to pass by nearer to Earth than the moon.